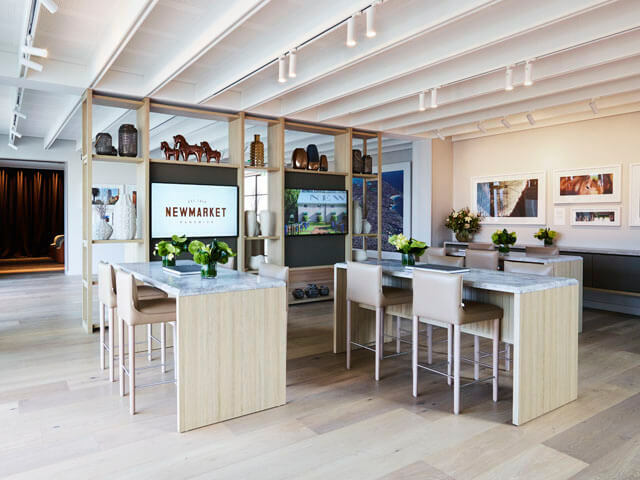 In the world of property marketing – especially when selling off-the-plan projects – sophisticated efforts to help consumers visualise their forthcoming purchase are bridging the gap between now and what will exist in the future. 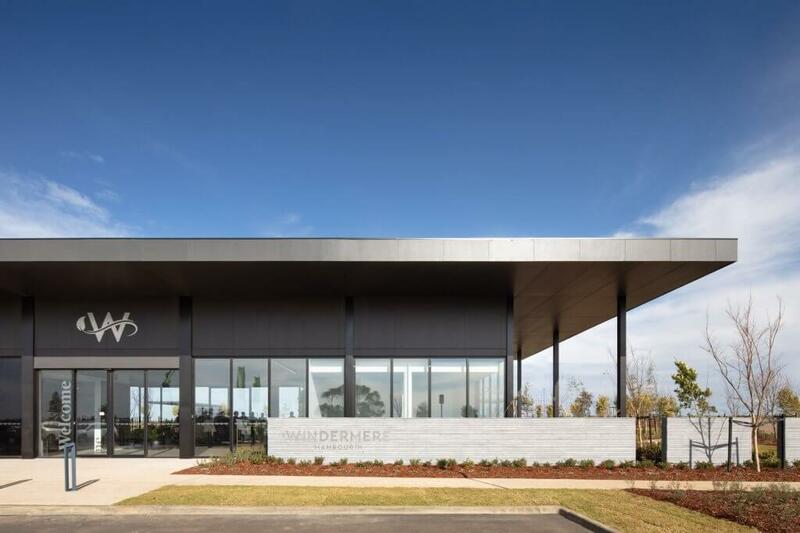 When helping consumers develop an affinity with projects yet to break ground, there is nothing that conveys the design intent, internal palettes, ideals, vision and over-arching scale of a development better than a display centre. It is perhaps why the display centre is becoming even more ambitious and, by default, more important. But in the shrinking world of budgets and the emphasis on long-term sustainable building, can the display centre have a longer lifespan? Can the temporary become permanent in an elegant and seamless way? Can the investment into the initial structure be extended? Where an eye-catching display centre is to be the showpiece for future development and where quality is paramount, Modscape’s innovative modular systems and processes can be used to create both flexible and beautiful building solutions. The speed of construction, flexibility in the design and program and the transportability of the steel-frame modules make Modscape an ideal solution for bespoke sales display suites where clients are wanting to get more from their (seemingly) temporary structure. Here’s three ways to get the most out of your display centre. 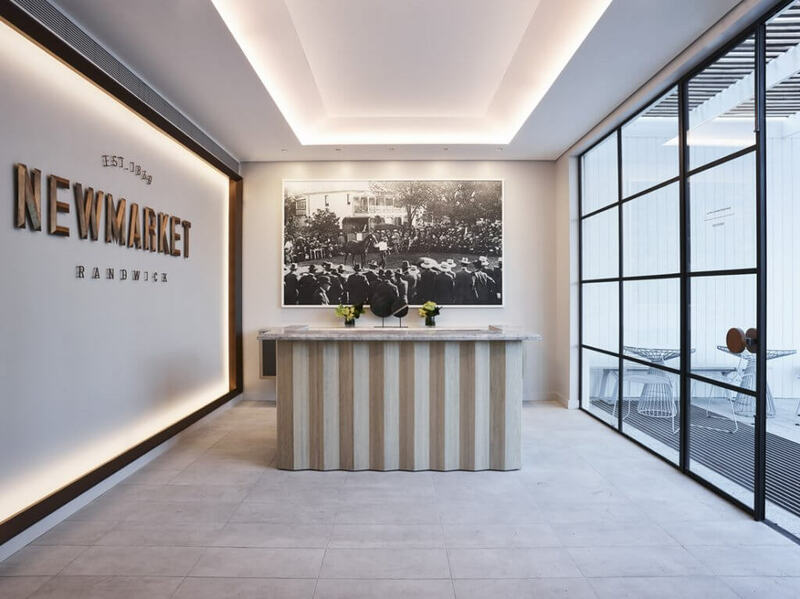 At the historic Newmarket stables site in Randwick, NSW, CBUS Property required a designer display suite that is to be the showpiece for the first stage of the development and reflective of the future apartments. 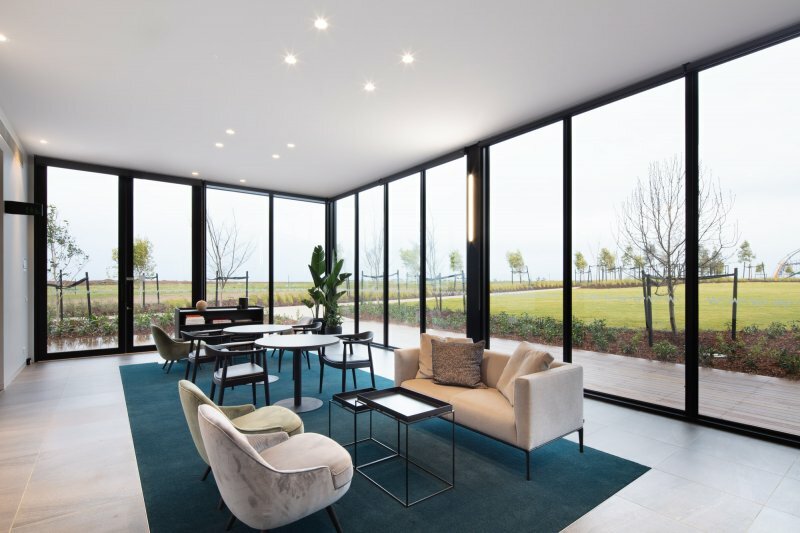 Designed by Neeson Murcutt Architects and Bates Smart, the display suite is open, generous and elegant and incorporates a simulated apartment showcasing the interior fitout of the future apartments. The lifecycle of the display suite was carefully considered. An additional (but currently empty) module permits future apartment fitouts to be undertaken with minimal disruption and downtime to the remaining sales area. 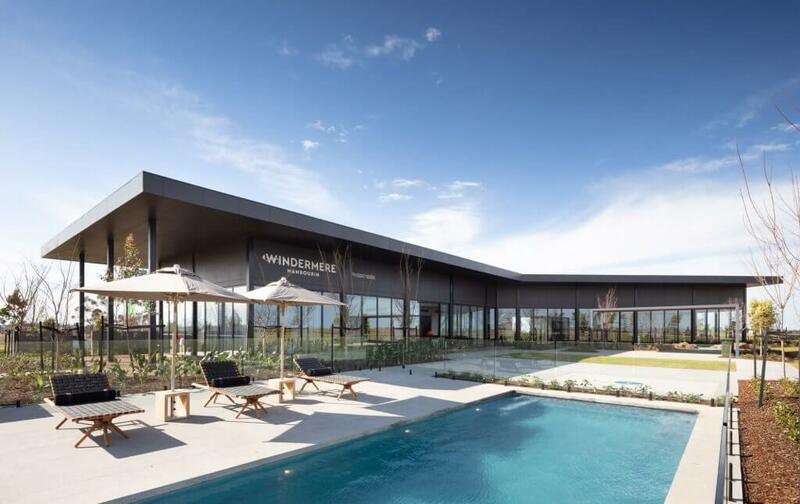 Property developers, Country Garden, engaged Modscape and DKO Architecture to design and construct their latest Windermere display centre. Our design team responded to their brief by considering in detail how the structure could grow, evolve and adapt to a different program once the need to sell house and land packages has been fulfilled. 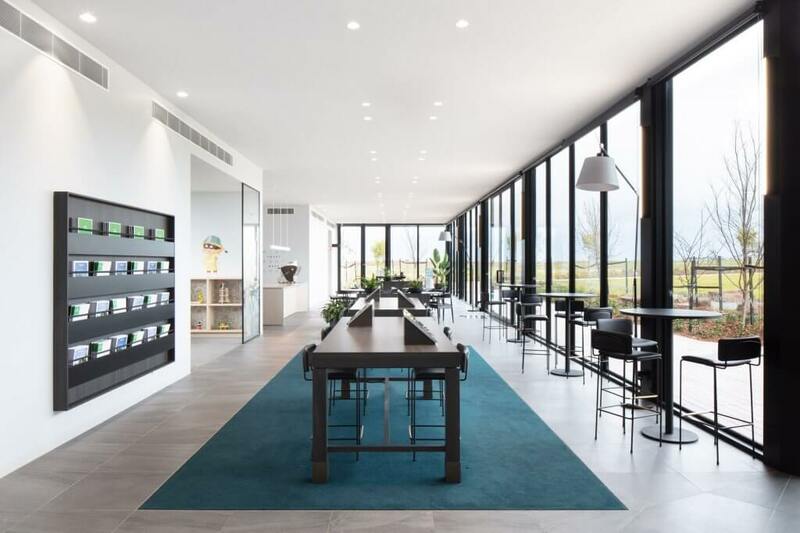 The end result is the largest prefabricated sales gallery in Victoria, boasting over 500 square metres of space and 5.5 metre high ceilings. Designed with an eye to the future, the building will become a community space with a café and multipurpose spaces for local community groups. The flexibility in the design and program allows for a much longer lifespan. Modular construction not only allows for flexibility in design and program purpose but also site location. Thanks to the rigidity and strength of the fully-welded structural steel frames, we’re able to transport the buildings with all internal works complete. This ensures a high level of quality is achieved within the controlled factory environment and means the modules can be moved at a later date with no damage in transport. 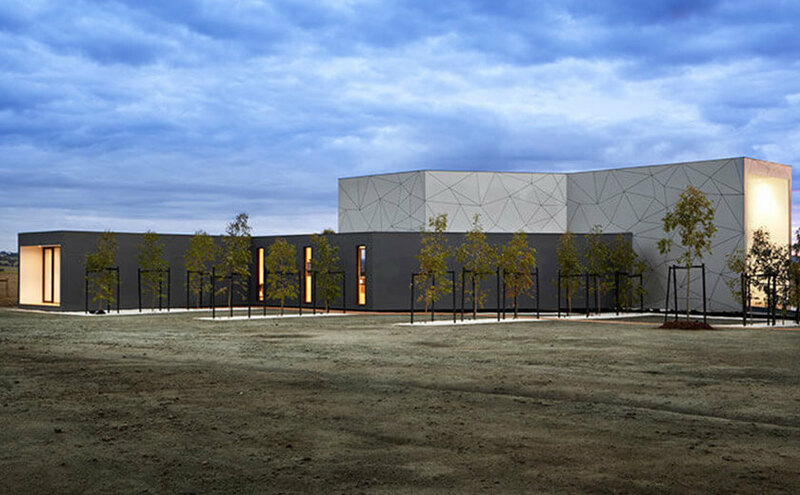 The Merrifield display centre constructed by Modscape showcased the project’s vibrant and contemporary ideals of the future community. High-end finishes and a combination of single and double height spaces highlights the stylish and progressive vision of urban living. Occupying over 900 hectares of farmland the developers saw a need to relocate the structure to a different area of the site as the development progressed. The display centre was detached from the footings, disconnected from services and relocated in one day. Another example is the Cedar Woods display suite. 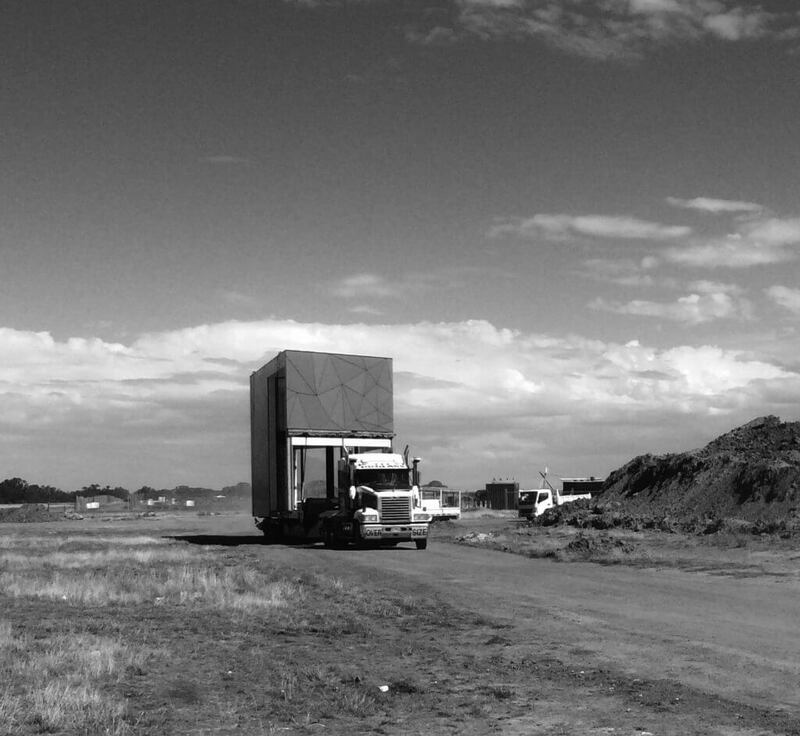 Initially designed for a development in Epping, NSW, the four module structure was subsequently redundant in that location once all of the house and land packages were sold. Because the design was flexible in outcome and thanks to the exceptionally strong steel frames, the modules were able to be transported to a new development, at a different site location and fitted out with an interior finishes palette in line with the new branding. In both examples, because the steel frames are so strong there was no damage in transport. 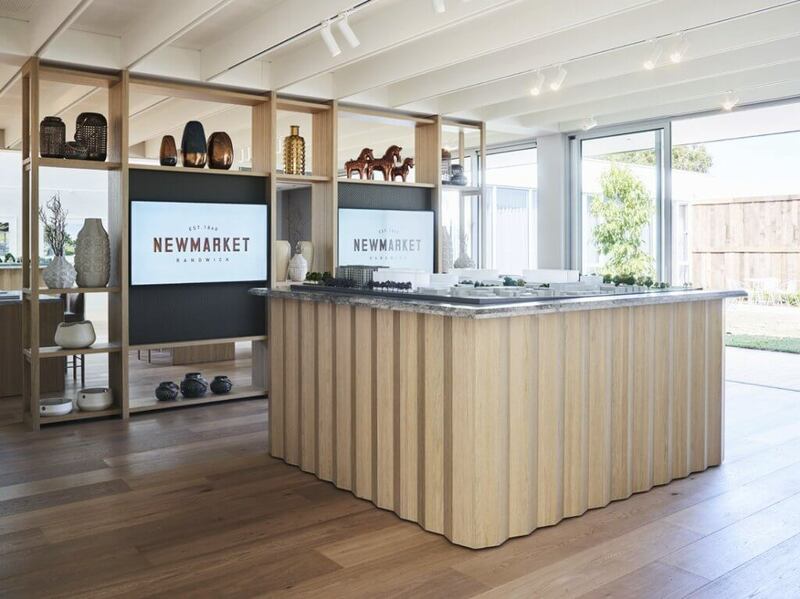 It’s obvious that to prolong the investment into and life of your sales display centre, we need to think differently, design differently and build differently. And that’s where the benefits of modular construction come into play. The humble, underwhelming, temporary display suites of old are well and truly a thing of the past thanks to the combination of thoughtful design and progressive building technology. Talk to our team to find out more.